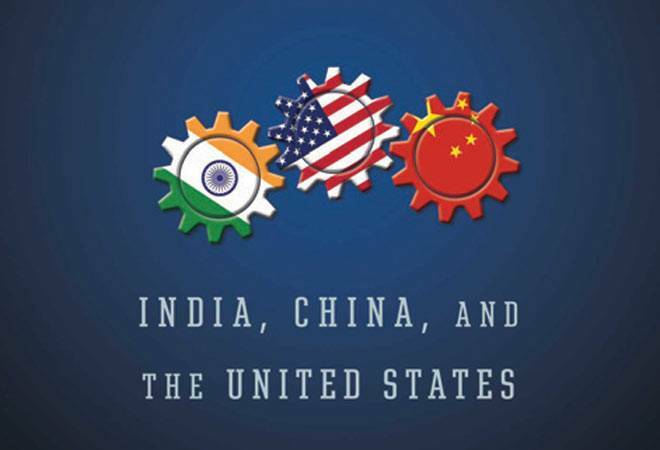 The author believes that the US's ability to strike the right balance with the two burgeoning economies - India and China - will shape the future. In the midst of the rabble-rousing speeches of the contestants in the United States Presidential elections, although essentially focused on domestic issues, the role and impact of the rise of China and India have also quietly come to the fore. The specific policies that the newly elected administration should follow towards these rising Asian countries are also being discussed by the Republican and Democratic Parties. Mainstream American ideas such as the 19th century isolationism, Cold War offshore balancing or the recent engagement and economic interdependencies are being reviewed extensively in these electoral debates. These will have a definite bearing on the US policies towards China and India for at least the next five years. In this context of renewed debate in the US, Anja Manuel's work on the trilateral relations is relevant and refreshing. For instance, in the light of frequent calls by the Presidential candidates that the US should restrict economic relations with China and India citing job losses, Manuel argued that Indian investment in the US had created 90,000 jobs in addition to 400,000 jobs in the IT sector. Likewise, China's investment in the US led to the creation of 80,000 jobs, besides subsidising the domestic market in the US with Chinese exports. A mention should be made of the pioneering works of different policy hues by Harry Harding and Francine Frankel, Ashley Tellis, Sumit Ganguly, George J. Gilboy and Eric Heginbotham, Rollie Lal, Martin Sieff and others. Many of these scholars are grounded in realism - that the US needs to constantly review its policy and enhance its security vis-Ã¡-vis the emerging India and China in different degrees, sometimes cooperating and, at other times, competing or even constraining. While Manuel underlines the lead role that the United States should maintain in managing its relations with India and China, she distinguishes herself by suggesting that the US should pursue a nuanced but accommodating policy towards these rising countries by "coaching" China and India to become responsible powers. Most significantly for its own self-interest of expanding the global economy, Manuel argues that the US should intensify - not stultify - economic interdependence both with India and China. Thus, she echoes Joseph Nye and Robert Keohane's thesis that economic interdependencies between nations reduce conflict situations between them. Manuel goes further. The US should help Beijing realise Xi Jinping's 2012 idea of 'China Dream' or Modi's Skill India, Digital India and other initiatives, as these are consistent with the expansion of the market mechanism and overall competitiveness. By 2030, the US should align with China and India in the "governing board of the world" for further broadening of the global institutional order. She suggests policy revisions by the US on the Asian Infrastructure Investment Bank or the New Development Bank of the BRICS. Like realists, however, Manuel argues that the US should side with India and enhance its material capabilities to counter China's aggressive policies since 2008 in the South China Sea, Indian Ocean and others, although the US should also take into account the legitimate interests of China. She suggests a step-by-step approach in realising this goal. Firstly, she argues that the US should work with China and India on "non-contentious topics" in the trilateral collaboration - mainly on environmental issues, enhancing the role of gender equality in the decision-making institutions; promoting nuclear energy, anti-corruption measures, education, online skill development and vocational training, poverty alleviation, market expansion, lowering trade barriers, etc. Secondly, Manuel suggests that the US should include China in military cooperation efforts in Asia and beyond, starting with confidence building measures and preventing conflict situations. Thus, the US should "manage" security relations with China even as it expands cooperation with India, Japan, Australia and others. Many of these policy suggestions are not new or "revolutionary" as the author admits, although cogently well-argued. The global plot, of course, is clear. Since the 1970s' engagement policy of Henry Kissinger, the US accommodated and helped the rise of China, but found the Chinese questioning its global and regional leadership roles. Since the 2000s, the US revised its policy and befriended India with an eye on balancing China under the civil-nuclear deal of 2005. As an interlocutor in these talks with Delhi, Manuel clearly understood her partner Condoleezza Rice's transformative ideas of "helping India to become a major power in the 21st Century". Since then, in a series of developments, the US and India had cobbled up mutually beneficial contacts in political, diplomatic, economic and military spheres, although Manuel expresses lingering suspicions on Indian acquiescence. Manuel's frequent visits as an interlocutor to business firms have provided her with several interesting inputs in this study. Visits to the Party Secretary in Shaanxi Province or insights on Liu He, the economic advisor to Xi Jinping, interactions with Andhra Pradesh Chief Minister Chandrababu Naidu or Foreign Secretary S. Jaishankar are as interesting as her field trip accounts to the factories in Shenzhen or slums in Delhi. While these provide depth to the understanding, inputs from the US decision/ policy-making circles could have further enhanced the quality of the work. The book as such is a significant venture in the American policy in addressing the rise of China and India by taking into account the contribution of Kori Schake. Previous assumptions and engagement policies of the US on China are increasingly coming under intense discussion and criticism, and this work represents a hybrid view of engagement with competition, if not containment of China. The author believes in accommodating China in the military, trade/ economic issues and in the international order. She assumes that China will follow international law, although the recent response of China to The Hague tribunal on South China Sea should be considered.